My son’s school project was a hat… any hat! Since I have some excess paper from my craft projects, I thought that it’d be fun for my son to do something silly. 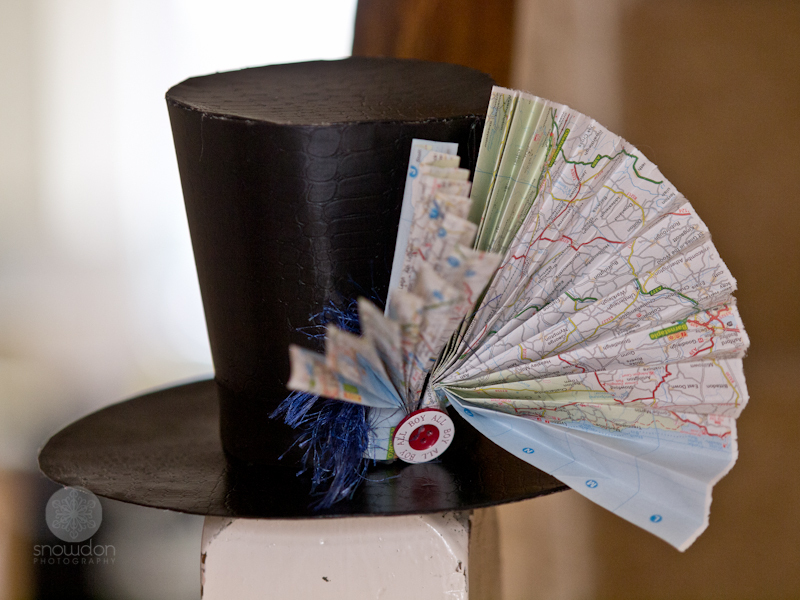 The top hat is easy to make, very versatile and it is perfect for crazy ideas. I found the pattern online from www.fleecefun.com and modified it so he will be able to put it together armed with only a glue gun. I let him use our Xyron creative station to make the pieces sticky instead of spraying glue on the paper. The maps are from old map books I set aside for projects. In all, it took a couple of hours and a very messy floor to make this hat that doesn’t even fit his head! You can still use it..